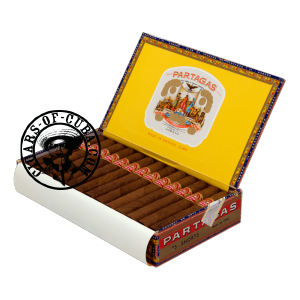 Possibly one of the finest cigars ever produced, the Partagas Short embodies all we have come to expect from a Cuban cigar. An explosion of different aromas led by vanilla, coffee, wood and leather all come together to produce an 'espresso' type start to this Tres Petit Corona. The Partagas power comes in discretely and before you know it, you are on an intense and rich finish and all you want to do is start again. One of the best minuto. This full bodied vitola is appreciated by old smokers, new smokers and connoisseurs alike. It's overloaded with wonderful hot spicy flavors. It's a great summary of what a great Partagas can be.